A masterfully written World War I-era novel about the secrets between a brother and sister, from the Booker Prize-winning author of the Regeneration Trilogy. It is 1917, and Elinor Brooke, a young painter, is studying art in London while her beloved brother Toby serves on the front as a medical officer. When Toby goes missing and is presumed dead, the devastated Elinor refuses to accept it. Then she finds a letter hidden among his belongings; it reveals that Toby knew he wasn’t coming back and implies that his friend, medic Kit Neville, knows why. But Kit has been horribly disfigured and is reeling from shell shock. While Elinor tries to piece together the mystery of what happened to her brother, she uses her drawing skills to aid in the surgical reconstruction of those who have suffered unspeakable losses—of their faces, their memories, their very minds. 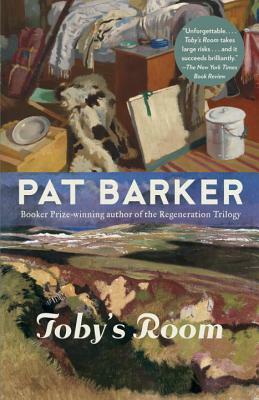 Pat Barker is the author of numerous novels, including Noonday, Toby's Room, and Life Class, as well as the highly acclaimed Regeneration Trilogy: Regeneration; The Eye in the Door, winner of the Guardian Fiction Prize; and The Ghost Road, winner of the Booker Prize. She lives in the north of England.